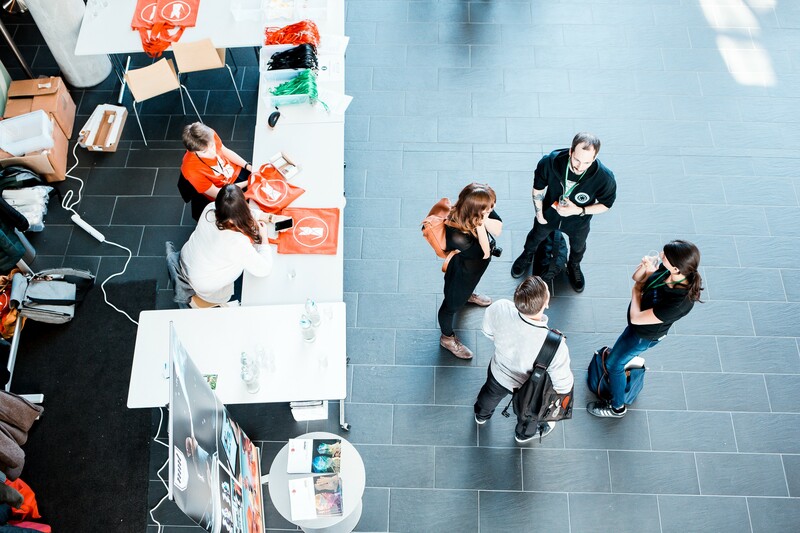 Last weekend the first ever .concat() web development conference took place in Salzburg, Austria. Being a low-budget community event, we didn’t have a lot of money. But we tried to show our attendees and speakers that we care about them. Here’s what we did and what it cost us. Adopting a Code of Conduct was free. We put it up on our website, made it part of the ticket purchasing process, mentioned it on Twitter and on stage. You can get the text from other great conferences or confcodeofconduct.com and read a ton about it. In the end we printed it quite a few times, laminated and displayed it at the front-desk, so the total cost was 0.20€. As much as we would have loved to have private gender neutral restrooms, there was no way for us to reconstruct the venue. We didn’t want the problem to go unmentioned though, so we at least borrowed the idea for above signs from LGBTplusBristol. Again printing and laminating for 0.20€. We told the bar to offer non alcoholic cocktails and water at all times. We mentioned that during announcements at the venue. As we had to print the menus anyways, this was entirely free. There are many reasons why one wouldn’t want to be photographed. Making it possible to indicate this effortlessly with the help of lanyard color is a great idea described by the Ada Initiative. It cost us additional 150€ to buy thrice the amount of lanyards. All this sums up to 152.40€ — an amount that most conferences will be able to afford, especially those with 1000€ tickets. But why are we still hearing so many reports of male dominated, exclusive, dangerous and unwelcoming events? … and if you made it through to 4. already, here are some great resources to get you started: ModeViewCulture Events Issue, Ada Initiative’s list of resources and the entire Geek Feminism Wiki.